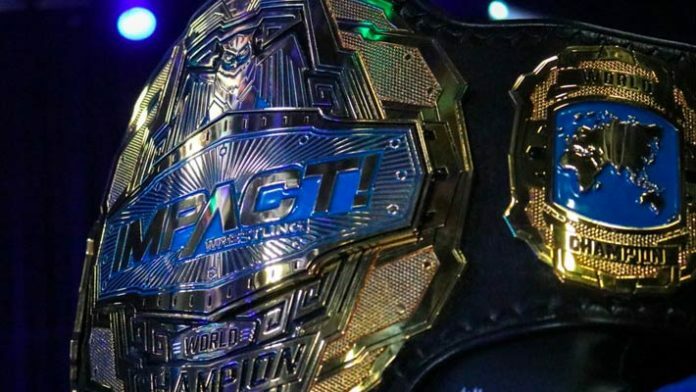 Impact Wrestling is once again in a rebuilding period and has changed the product around. The promotion held their Redemption pay-per-view event on Sunday night (April 22nd, 2018) in Orlando, Florida at Universal Studios on traditional PPV outlets and the FITE TV app. It was a solid show with some good wrestling and booking, which is a trend that has started to bring back fans. Before the show went live on pay-per-view, they showed off the new designs for their championships. At the show, two titles changed hands. Pentagon Jr. won the Impact World Championship against Austin Aries and Fenix in a Triple Threat Match. Eli Drake and Scott Steiner won the Impact World Tag Team Championship from LAX. #Redemption18 changed the course of IMPACT Wrestling. Do you watch the Redemption PPV? Have you given the promotion another chance? Sound off in the comment section below.